Finding the perfect foundation for your complexion can be a challenge! Am I right ladies? Especially if you're a Makeup Artist like myself. You've probably tried a lot of different brands. It's all about the consistency, coverage and colour. 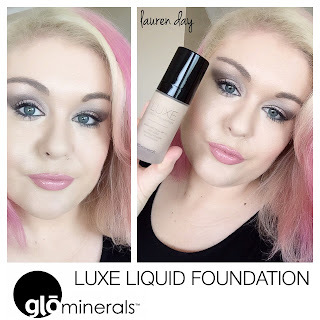 In 2015 my absolute favourite luxury foundation is the new Luxe Liquid Foundation by glō minerals. I highly recommend this beautiful velvety soft foundation as it contains broad spectrum SPF 15 and anti-ageing properties. It's excellent for mature women in their 30's, 40's and 50's. 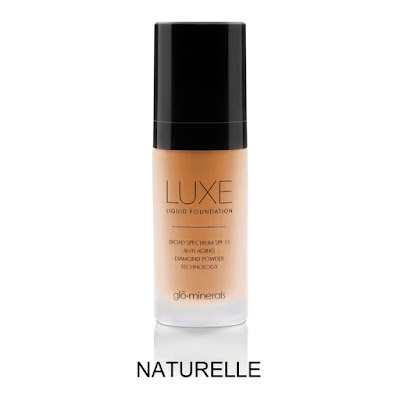 Using a foundation brush or your fingers, apply Luxe Foundation to the face, blending lightly down the neck. I have naturally fair skin. My shade is Naturelle. The glass bottle is 30ml. (1 fl. oz.) 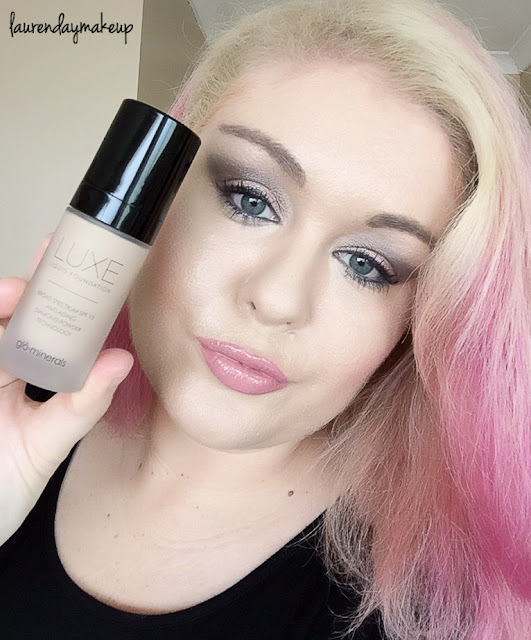 This foundation's pump is convenient and easy to apply. I prefer applying foundation with a makeup sponge for full coverage. If you prefer using a brush to apply foundation, try glō minerals Ultra Brush. "glō minerals provides coverage that lasts while being kind to the skin." I simply adore glō minerals Camouflage Under - Eye Concealer. My shade is beige. For best results, apply with a synthetic or cruelty-free brush. It's excellent for concealing dark circles under the eyes prior to applying glō minerals Luxe Liquid Foundation. 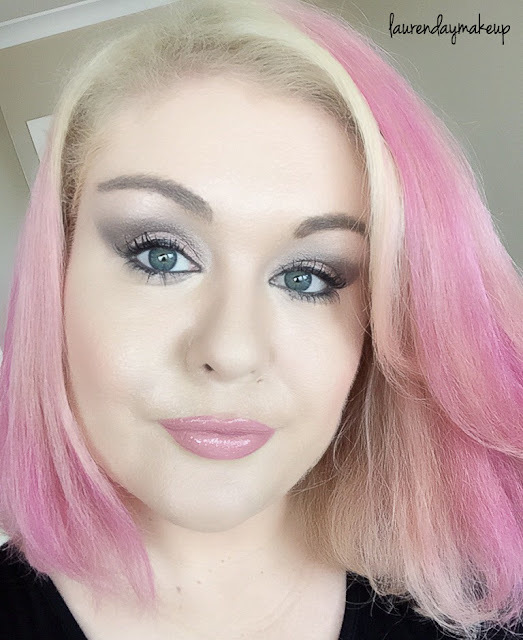 Read more about my favourite glō minerals products in my REVIEW: glō minerals.